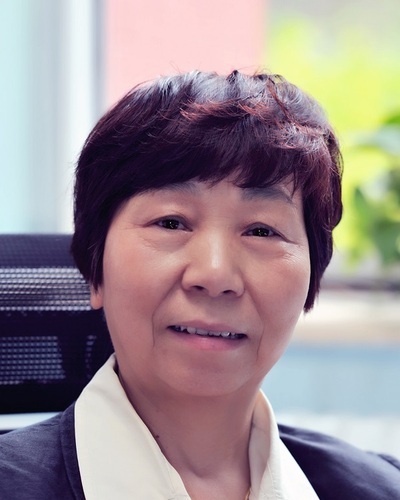 Professor Heping LIU is founding dean and honorary dean of the School of Translation and Interpreting at the Beijing Language and Culture University. She is vice director of the Board of the China Accreditation Test for Translators and Interpreters, expert council member of Translators Association of China (TAC), deputy director of Translation Theory and Translation Teaching Committee of TAC, member of International Communications Translation Committee of TAC, and executive director of Translators Association of Beijing. She is in the editorial board of two academic journals: Chinese Translators Journal and Forum. She is author, editor, co-editor and translator of dozens of books and papers on T&I teaching, interpreting studies and intercultural communication. She was awarded the Chevalier dans l'ordre des Palmes académique by the French Ministry of Education in 2001. She is also an experienced translator and consecutive/simultaneous interpreter. Liu, Heping（2017）. Reflections on the trend of professionalism and specialization in Interpreting: challenges and Countermeasures (“对口译职业化＋专业化趋势的思考：挑战与对策”), Chinese Translators Journal, 4. Liu, Heping (2017). Translation Studies: Interpreting theory and Interpreting Education (Eds.) (《翻译学：口译理论与口译教育》), Fudan University Press. Liu, Heping (2016). Professional Interpreting : Teaching, Learning and Researching,(《职业口译理论与教学》), Foreign Language Teaching and Research Press. Liu, Heping (2016). Ten years of interpreting education in China: Reflection and Prospect (“中国口译教育十年：反思与展望”), Chinese Translators Journal,3, PP.46-52. Liu, Heping (2015). A study on the development characteristics of translation thinking – Case of MTI translation theory and practice course (“翻译思辨能力发展特征研究——以MTI翻译理论与实务课为例”)，Chinese Translators Journal, 4, PP45-50. Liu, Heping (2015). From the Chinese and foreign students' popular remarks on the campus and social culture, Macao Institute of Technology (“从中外学生流行语窥校园与社会文化”). Liu, Heping (2014). Cooperation among administrative authorities, businesses, universities and research institutions: Exploring a new mode of cultivating professionals for language industry. Chinese Translators Journal, 5, 35-40. Liu, Heping (2013). Le rôle de l'interprète dans la communication interculturelle: étude de marché masquée en simultanée. In H. Lee-Jahnke & M. Forstner (Eds), CIUTI-Forum 2012: Translators and interpreters as key actors in global networking. Bern, Berlin, Bruxelles, Frankfurt am Main, New York, Oxford, Wien: Peter Lang. Liu, Heping (2013). Translation teaching model: Theory and application. Chinese Translators Journal, 2, 50-55. Liu, Heping (2011). Stage characteristics of competence development: Translation and translation teaching. Chinese Translators Journal, 1, 37-45. Liu, Heping & Xu, Jun (2010). Étude sur l'interprétation en Chine: Résultats et enjeux. Forum, 2, 47-73. Liu, Heping (2010). Cognitive characteristics of interpreting and competence training of interpreting out of Chinese. In W. Zhong (Ed), Interpreting in China: New trends and challenges. Beijing: Foreign Language Teaching and Research Press. Liu, Heping (2009). On principles and methods of translation teaching of undergraduates. Chinese Translators Journal, 6, 34-41. Liu, Heping (2008). Construction of translation teaching system revisited. Chinese Translators Journal, 3. Liu, Heping (2007). On interpreting studies and professional interpreter training. Chinese Translators Journal, 1. Liu, Heping (2007). Orientation and program design in interpreting training. Journal of Guangdong University of Foreign Studies, 3. Liu, Heping (2007). Preparation and interpreting quality: An experimental course of interpreting. Journal of Language and Literature Studies, 7. Liu, Heping (2006). Market and orientation of interpreting teaching. Educational Technology, 7-8. Liu, Heping (2006). The interpretive theory of translation: Questions and analyses. Chinese Translators Journal, 4. Liu, Heping (2005). Results and trends of interpreting studies. Chinese Translators Journal, 4. Xu, Jun & Liu, Heping (2004). Expériences et théorisation de la traduction littéraire en Chine : Experiences and theorizing of literary translation in China. Meta, 4, 786-804. Liu, Heping (2004). On the approaches of teaching translation. Chinese Translators Journal, 3. Liu, Heping (2003). Rachat des actions et études interculturelles -- Nouveau Role d`Interface de l`Interpete dans la Communication. Forum, 2, 173-188. Liu, Heping (2003). New features of interpretation and teaching of interpreting. Chinese Translators Journal, 3. Liu, Heping (2003). Dynamic study of translation and interpreting teaching. In B. Zhang, & J. Xu (Eds. ), Translation studies towards the twenty-first century. Beijing: The Commercial Press. Liu, Heping (2002). Science of thinking and the interpreting process. In X. Cai, (Ed. ), Interpreting studies: New methods, new ideas and new trends. Hong Kong: Kaiyi Press. Liu, Heping (2002). Skill consciousness and interpreting teaching. In X. Cai, (Ed. ), Interpreting studies: New methods, new ideas and new trends. Hong Kong: Kaiyi Press. Liu, Heping (2002). Interpretation and translatology. In Z. Yang (Ed. ), A new probe into translatology. Qingdao: Qingdao Press. Liu, Heping (2002). Reflections on the unified outline of interpreting teaching. Chinese Translators Journal, 3. Liu, Heping (2002). Criteria for quality assessment of technical interpreting. Shanghai Journal of Translators for Science and Technology. 1. Liu, Heping (2001). Contribution of interpretive theory to translatology. Chinese Translators Journal, 4. Liu, Heping (2001). Status quo and prospect of interpreting studies and teaching. Chinese Translators Journal, 2. Liu, Heping (2001). Procedures of professional interpreters and interpreting teaching. In Z. Liu et al. (Eds. ), On Translation Teaching. Beijing: The Commercial Press. Liu, Heping (2000). Teaching translation and translation teaching revisited. Chinese Translators Journal, 4. Liu, Heping (1999). Dynamic study of translation and interpreting teaching. Chinese Translators Journal, 4. Liu Heping (2017). (Trans. ), Demain j’aurai 20 ans, Beijing: China Translation & Publishing. Liu, Heping & Xu, Ming (2014). (Eds.) Interpreting Education in a Global Context Beijing: Foreign Language Teaching and Research Press. Liu, Heping (2013). (Trans. ), Profession Traducteur. Beijing: Foreign Language Teaching and Research Press. Liu, Heping (2011). (Ed. ), The Interpretive Theory of Translation: Introduction, Criticism and Application. Beijing: China Translation & Publishing. Liu, Heping (2005). Interpreting Theories and Education. Beijing: China Translation & Publishing.